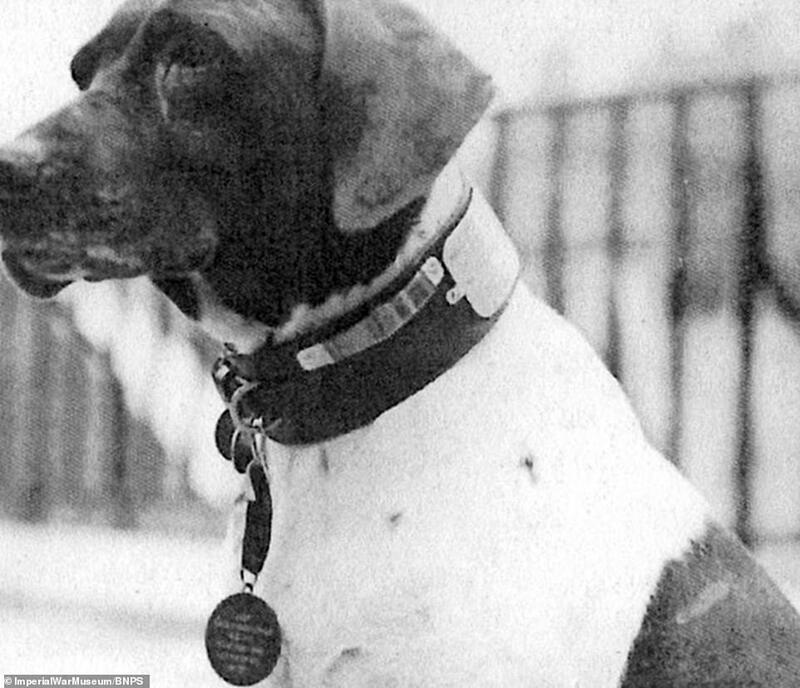 A new book honours the 71 heroic animals which have received the pet equivalent of the Victoria Cross. The award, officially known as the PDSA Dickin Medal, was founded in 1943 to recognise animals which have displayed ‘outstanding loyalty, bravery and courage’. Peter Hawthorne’s book, The Animal Victoria Cross: The Dickin Medal tells the animal’s stories, including an Alsatian that dragged its drowning handler to safety under gunfire in WWII. It also casts an eye on stories about a Labrador that saved countless lives in Afghanistan by uncovering IEDs, plus the tale of Simon the cat who caught many rats on the British warship HMS Amethyst. The story of a carrier pigeon that flew 120 miles to raise the alarm for a downed bomber crew is also immortalised in the book. 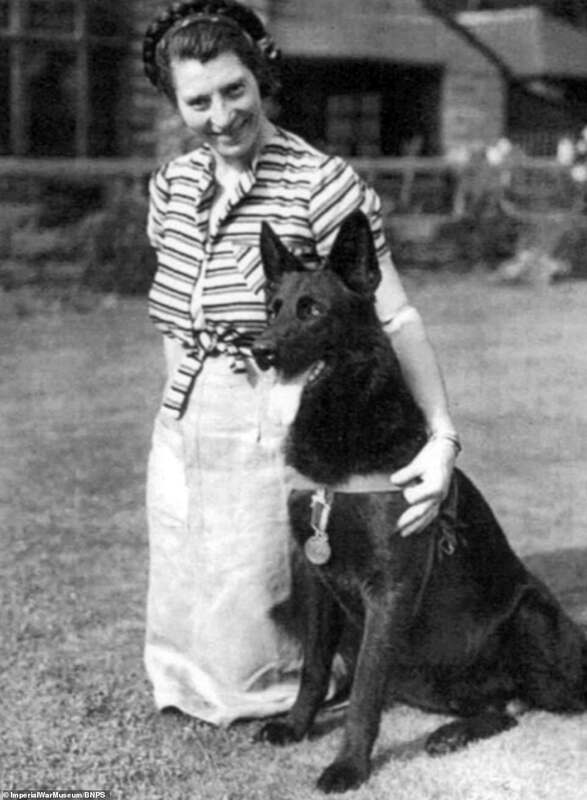 The award is named after social worker and animal lover Maria Dickin who set up free animal vets in London during World War One and founded the PDSA. 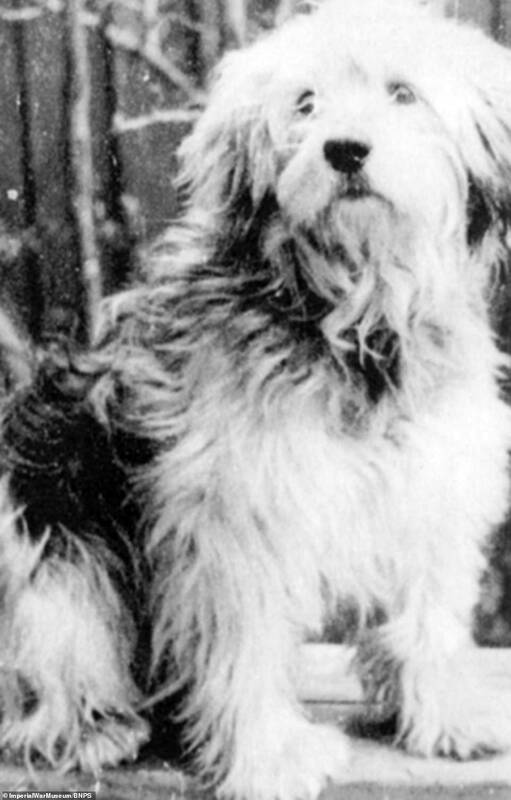 To date, the Dickin Medal has been awarded to 34 dogs, 32 pigeons, four horses and one cat. Mr Hawthorne, 40, from Wolverhampton, said: “The bravery and devotion of these Dickin Medal recipients is truly extraordinary yet they are little known of. 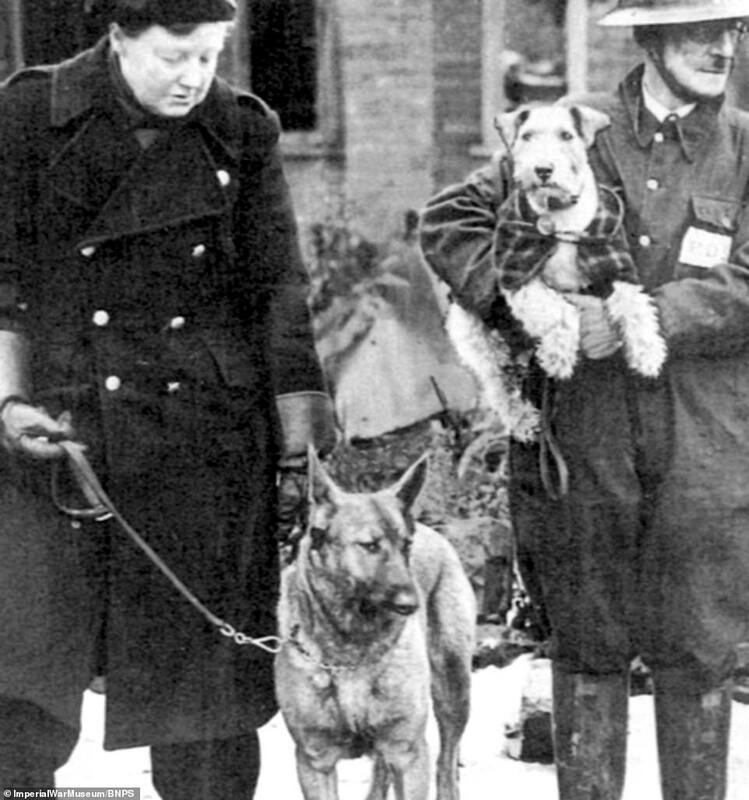 After the declaration of war in 1939, the War Office sent out a request for animals capable of helping the war effort. Many people struggled to feed themselves due to rationing and faced the heartbreak of releasing their pets. Thousands of horses, dogs, donkeys and pigeons were enlisted into the armed forces to perform a variety of roles. 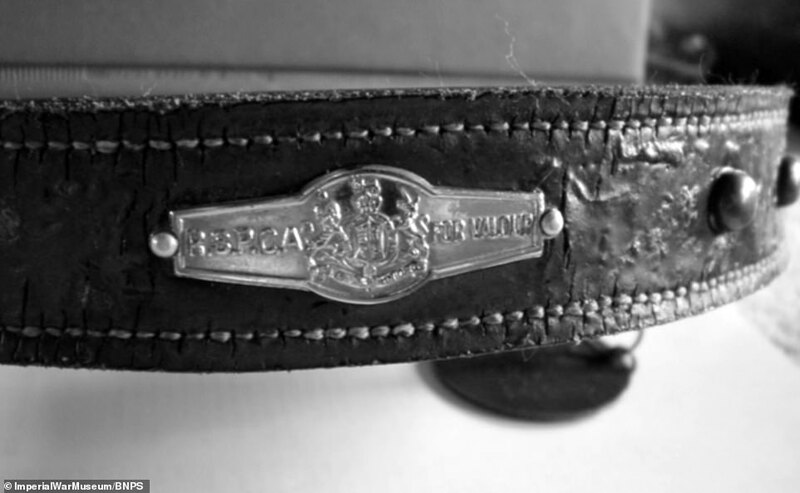 The award, officially known as the Dickin Medal, was founded in 1943 to recognise animals who have displayed ‘outstanding loyalty, bravery and courage’. 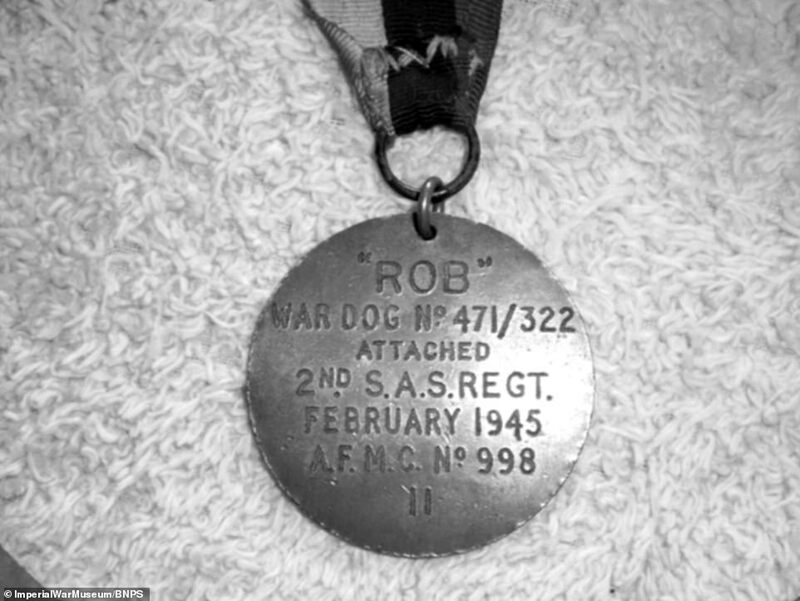 Pictured one of the medals which was awarded to a dog call Rob, who served three-and-half years in North Africa and Italy with the Second Service Air Regiment in WW11. 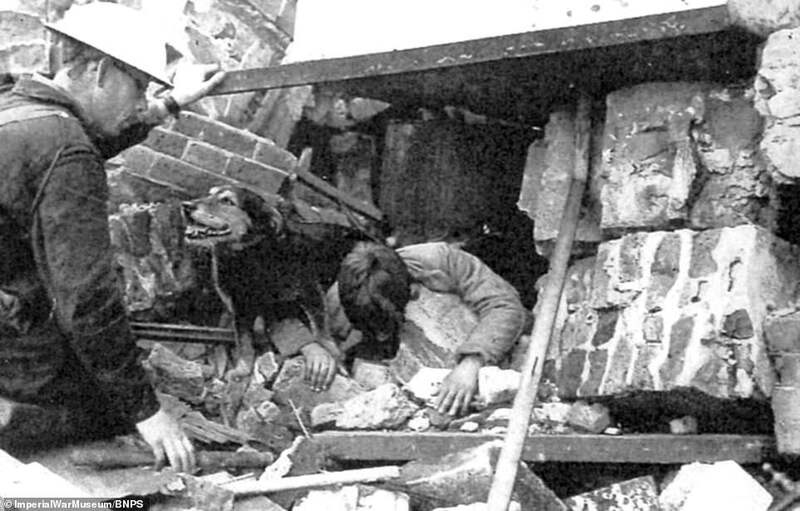 Some dogs acted as guards and others were able to detect buried victims of the Bitz, and a select few went on secret missions with the SAS into enemy territory. 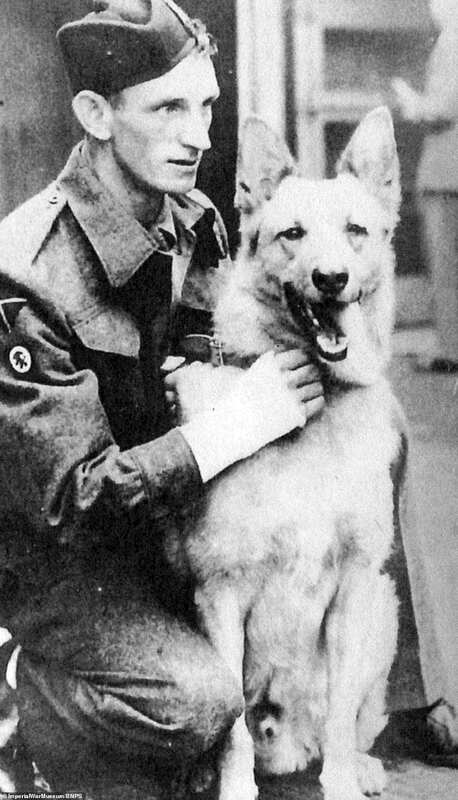 One Dickin Medal recipient was an Alsatian called Rifleman Khan who sprung into action to save the life of his handler Lance Corporal James Muldoon. In November 1944 his battalion, the 6th Cameroonians, was part of the Allied force sent to attack the island of Walcheren in the Netherlands, as part of the Battle of the Scheldt. Rifleman Khan and Lan Corp Muldoon were in an assault craft approaching the island by sea when a spotlight shone on them and the boat came under heavy fire. The boat capsized, sending the soldiers into the water. Rifleman Khan swam to shore and began to look for Lan Corp Muldoon, who could not swim. While still under heavy shelling and machine gun fire, Khan then swam the 200 yards back to Lan Corp Muldoon. As he approached, Lan Corp Muldoon’s head was barely above the waves washing onto the beach. Rifleman Khan managed to reach his handler, clamped his teeth around the collar of his tunic and managed to pull him free from the mud. He continued to pull his handler past the muddy shoreline and up onto solid ground, before collapsing next to him. Lan Corp Muldoon and Rifleman Khan both survived the war and in 1946 the former returned to his work as a plasterer in Strathaven, Scotland. He wrote many letters to the War Office requesting permission to keep Rifleman Khan permanently. 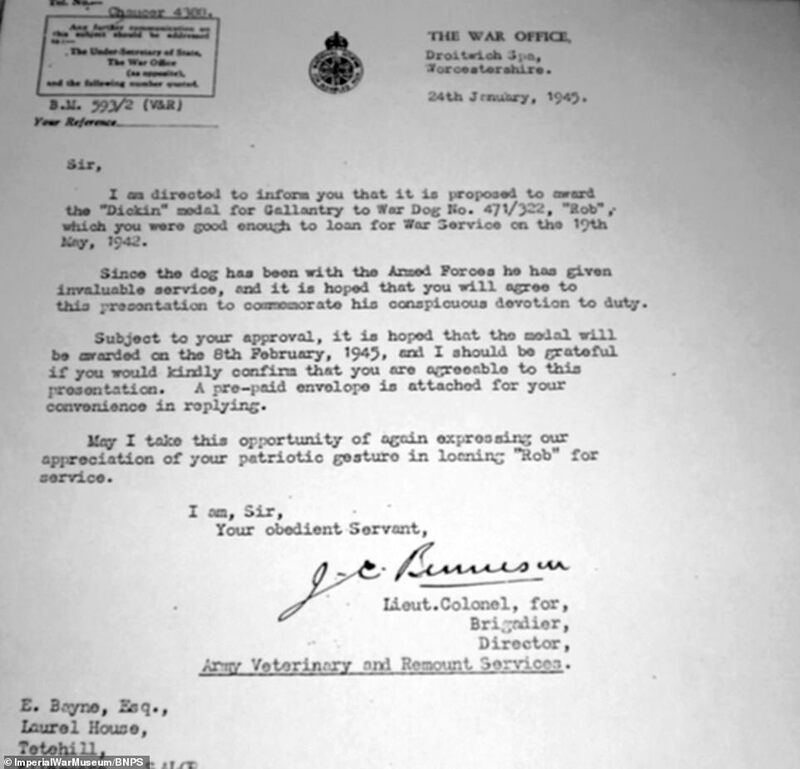 Each request was rejected as the Railton family wanted their dog back, as their son Barry had contracted polio and wanted Rifleman Khan to return home. In July 1947, Rifleman Khan was invited to the National Dog Tournament at Wembley Stadium. This prompted Mr Railton to write to Lan Corp Muldoon and ask if he would like to lead the family dog around the parade ring on the day. 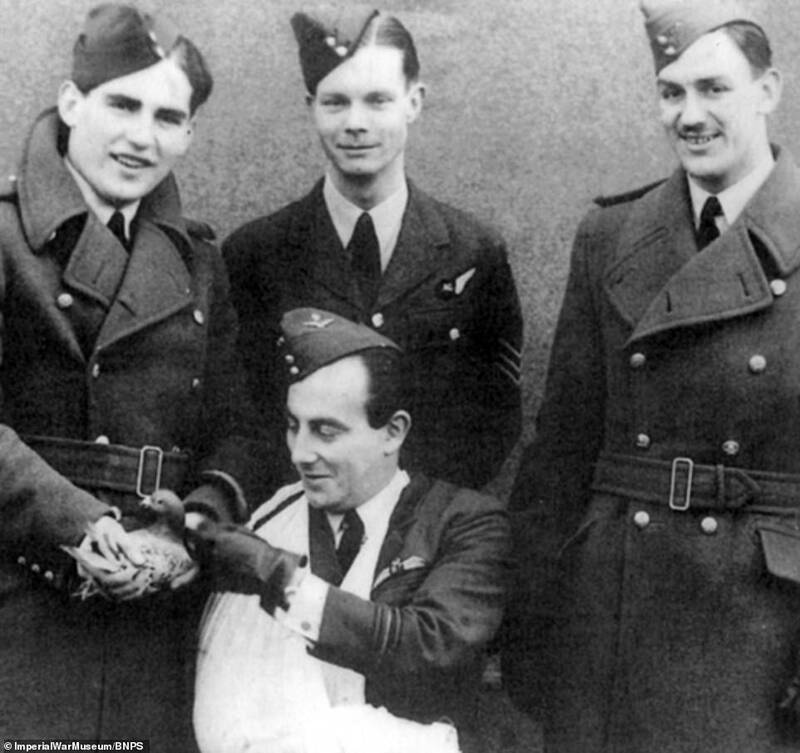 Winkie the carrier pigeon was on an RAF Beaufort Bomber when it crashed in the North Sea on February 23, 1942. She was set free and flew 120 miles home to Broughty Ferry, where her owner George Ross discovered the exhausted pigeon. She alerted the airbase at RAF Leuchars in Fife, who launched a desperate search and rescue mission. The crew was discovered just in time and Winkie was deservedly awarded the Dickin Medal. Other heroes include American guide dog Roselle who saved her blind owner from the collapse of the Twin Towers on 9/11 by leading him from the 78th floor of the burning building to safety. Treo, a black Labrador, saved many lives in Afghanistan by uncovering a number of improvised explosive devices while serving in Helmand Province. Simon, a neuter cat, served with distinction on the British warship HMS Amethyst during the Yangtze incident in 1949, disposing of many rats though wounded by shell blast. Regal, a large bay gelding horse, kept his composure when he was in burning stables in Muswell Hill and covered in debris during a heavy blitz on London. Police horse Olga was on duty in 1947 when a flying bomb demolished four houses in Tooting, south London, and a plate-glass window crashed immediately in front of her. After initially bolting, she returned to the scene and remained on duty with her rider, controlling traffic and assisting with the rescue. Sam, an Alsatian, was on duty with the British army’s Royal Veterinary Corps Dog Unit when he disarmed a gunman intent on massacring a village in the Balkans in 1998 by chasing after him, taking him down and retrieving his loaded pistol. The Animal Victoria Cross: The Dickin Medal is published by Pen & Sword and costs £12.99. 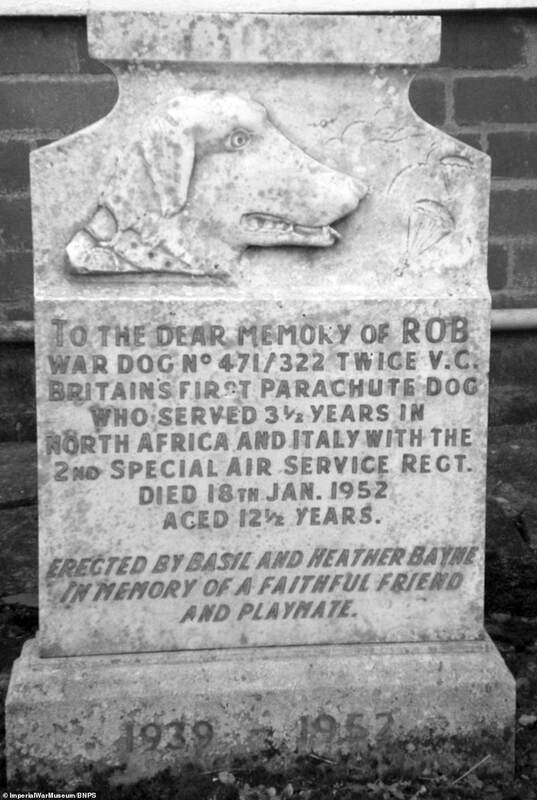 The grave of Rob the dog who was the 11th to receive the Diggins Medal. He died in 1952. A carrier pigeon called DD43 T139, which was attached to the Australian Army in the 1940s, was one of the brave animals which was awarded a Dickin medal. It was awarded it for its actions in Papua New Guinea in 1943. The pigeon carried a message for help after an army boat became stranded in a tropical storm. 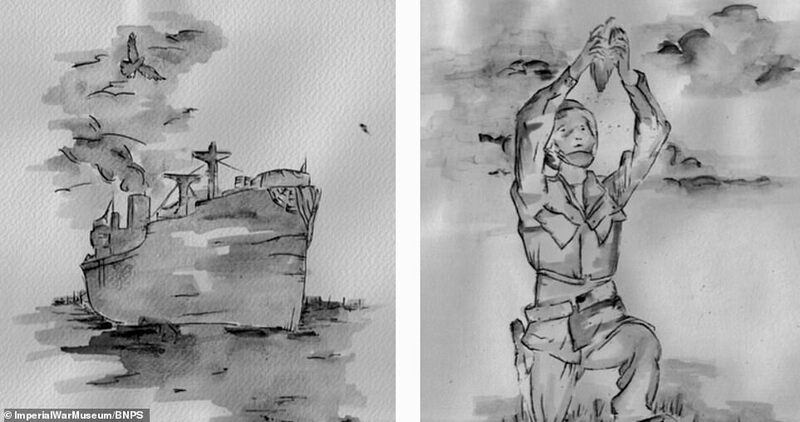 An artist impression of the boat and the soldier which released him is pictured.